Ten razón, na miña opinión, porque igual que con todo, canto máis novos máis rápido e de xeito seguro se aprende. Pero nunca é tarde!!!! Non trata sobre correr descalzo (só unha cita de 30"). Feet. Arguably the most important part of a runner’s body. Feet allow us to stand upright and give us the balance required to walk and run. As runner’s our greatest expenses revolve around our feet, literally and figuratively. 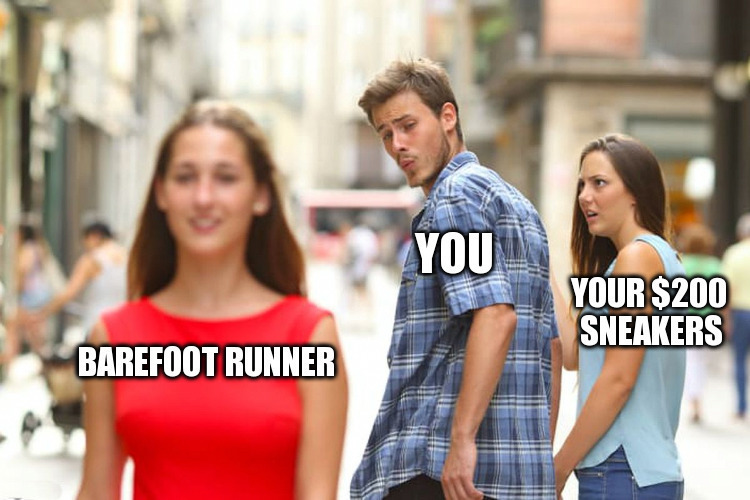 We may spend hundreds of dollars a year on good running shoes and little on anything else. As the foundation of our bodies, naturally feet should be given the upmost care. However, little is done to strengthen our feet. Many injuries above the feet can be avoided with proper foot care. Today on the Running for Real podcast we interviewed Ray McClanahan. An impressive runner himself, with a 5K PR under fourteen minutes, Ray understands the running world. Dr. McClanahan studied podiatry and practiced as a foot surgeon for a number of years before considering other branches of medicine. His experience as a runner and a surgeon prepared him to research the world of natural foot health. Today he helps thousands recover from foot injuries in ways that are long-lasting and natural. Xa me fastidia un pouco por aquí estas cousas en inglés , pero creo que é información relevante, e é o que atopo para poder compartir.